Joan Lee (Whittenburg) Turner was born on October 7, 1931 in Oneida, Tennessee to Nelson and Myrtle (Sewell) Whittenburg. She went home to be with her Lord and Savior suddenly on January 18, 2018 at the Vanderbilt Hospital in Nashville, Tennessee. Joan spent her working years at a canning factory in Eaton, Indiana, and at Ball Memorial Hospital, retiring after many years in housekeeping. Joan cared for many people with home health care and spent many nights taking great care of her patients. She was a wonderful caregiver and was loved by all who knew her. When her health prevented her from caring for others she continued to care for her family and many grandchildren. Joan became a member of the East 16th Street Separate Baptist Church November 9, 2003 and continued to attend there until she moved to Gallatin, Tennessee to spend time with her son Rory. She continued to come when she was in town visiting other family. Joan had recently found a church that she felt comfortable with in Gallatin and said that the people were nice and friendly. Joan was preceded in death by her parents, three sons, Jeffery, Richard and Mark. She was the last and youngest of 10 children. 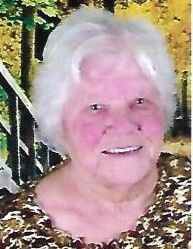 She leaves to morn her passing: Daughter Susan Parker of Redkey, IN, 2 sons: Benjamin (Bennie) Turner of Muncie, IN and Rory Turner of Gallatin, Tennessee. She also leaves 8 grandchildren, 7 great grandchildren and 8 great-great grandchildren along with a host of relatives and friends. We will miss her but know that she is now in the hands of a just and living God. Her work her is done and now she is at rest. Committal services will be held at the Gardens of Memory Cemetery Chapel on Friday, January 25, 2019, 10:30 A.M. with Pastor James Upchurch officiating. Parson Mortuary is in charge of the arrangements. Friends may call at the Parson Mortuary on Friday, January 25, 2019, from 9:00 A.M. until 10:00 A.M.
Online condolences may be made to the family in care of www.parsonmortuary.com.